﻿LAUSD's Sustainability Initiatives Unit maintains strong relationships with influential community leaders, organizations, and agencies. The district recognizes the importance of community-based initiatives and relies on these partnerships to achieve our sustainable goals and objectives. This page highlights our key partners and the programs they manage. The Beyond the Bell Office of Outdoor and Environmental Education is committed to providing “once in a lifetime” authentic and meaningful, hands-on active learning experiences. We believe that learning is strengthened through different exposures – seeing, hearing, touching, doing and actively engaging with peers, resulting in a multi-dimensional approach to learning to provide a deeper understanding of real world practices and scenarios. We facilitate activities that create an emotional investment in personal and team success. Our programs allow students to be physically active, innate curiosity, encourages discovery, and project based. ACE's mission is to education young people on the science of climate change and empower them to take action. Book an award-winning ACE Assembly, which combines climate science with pop culture entertainment, or see it on line at OurClimateOurFuture.org. Led by a bipartisan board of directors, ASE's mission is to create an energy-efficient world. ASE has several educational initiatives including PowerSave, which is a campus-directed energy conservation program. 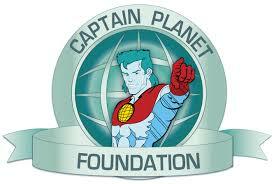 Captain Planet Foundation supports high-quality, hands-on environmental stewardship projects and is bringing their Project Learning Garden program to LA Unified. The CCC is a state agency that connects youth to their environment. Working directly with teachers, students, administrators, and communities, the Center's mission is to create Green Schools for everyone within this generation, transforming all schools into healthy learning environments. Through consulting services, CELF promotes awareness of sustainability and helps schools districts make sustainability an ongoing part of education. The Council actively partners with local governments, businesses, and communities to develop an integrated approach to managing regional water and land resources. The Council has partnered with LAUSD on several initiatives including our DROPS and Prop 84 low impact development projects. EDN has roots from the first Earth Day in 1970, influencing the passage of landmark environmental laws such as the Clean Air Act, Clean Water Act, and Endangered Species Act. Energize Schools offers tailored educational support to high school teachers and schools in California, including project-based curriculum, green careers conferences, teacher professional development, school-wide competitions, green team resources, and CTE pathway curriculum. Energize Schools programs are designed to make it easy and affordable for schools to reduce resource use and engage students in sustainability education and leadership. EnrichLA has installed gardens in over 70 LAUSD campuses. The non-profit is dedicated to improving air quality, increasing students' exposure to the natural world, encouraging environmental stewardship, and positively impacting health and eating habits of students and the surrounding community. Garden Rangers maintain the spaces and assist teachers with inquiry-based lesson plans. FOLAR's mission is to protect and restore the natural and historic heritage of the Los Angeles River and its habitat through inclusive planning, education, and stewardship. GSA is an international association of sustainable schools that fosters collaboration among school districts to assist with setting and achieving sustainability goals. The organization's mission is to connect and empower schools worldwide to lead the transformation to global sustainability. Created by the US Department of Education, GRS was designed to inspire school districts to strive for 21st century excellence by highlighting practices and resources that reduce environmental impact and costs, improve the health and wellness of schools, and provide environmental education including green career pathways. The mission of Los Angeles Audubon is to promote the enjoyment and protection of birds and other wildlife through recreation, education, conservation, and restoration. Audubon has partnered with LAUSD on several initiatives including our DROPS and Prop 84 low impact development projects. LACC's primary mission is to provide at-risk young adults with opportunities for success through job skills training, education and work experience with an emphasis on conservation and service projects that benefit the community. Several LAUSD schools have participated in LACC's Clean & Green program, focused on youth and workforce development. The NWF's mission is to protect the ecosystems that are most critical to native wildlife for our children's future. The NWF sponsors many programs on LAUSD campuses including Eco Schools and Ranger Rick activities. Currently, 7 LAUSD campuses have been certified as a NWF Eco School. PEAK is an environmental education program designed to empower students with the knowledge to manage energy use in their homes and schools. Through hands-on learning, students are inspired to take action to create a more sustainable world. Over 50 schools have participated in PEAK programs. People for Parks' mission is to create a safe, walkable park for every child in Los Angeles. The organization works to fight budget cutbacks on LA's current lack of park funding. Republic is the 2nd largest non-hazardous solid waste management company in the U.S. The company is dedicated to providing responsible and reliable recycling and waste disposal services while bringing positive changes to the environment. Energize Schools offers tailored educational support to teachers and schools in California, including project-based curriculum, green careers conferences, teacher professional development, competitions, green team resources, and CTE/certificate programs. Theodore Payne's mission is to promote, preserve and restore California landscapes, and habitats, propagate and make available California native plants and wildflowers, and educate and acquire knowledge about California flora and natural history. TreePeople inspires and supports the people of LA to come together to plant and care for trees, harvest the rain, and renew depleted landscapes. TreePeople has partnered with LAUSD on several initiatives including developing our DROPS and Prop 84 low impact development projects, organizing Eco Clubs, and hosting Eco Tours. USGBC-LA is a nonprofit environmental organization dedicated to the sustainability of Los Angeles County's built environment by delivering access to expertise, resources, recognition, and networking. 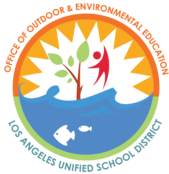 The mission of the Wildwoods Foundation is to equip children, families, and educators of Los Angeles with the principles of ecoliteracy in creating sustainable, harmonious communities. LAUSD partners with the Wildwoods Foundation on many programs including a Drop in the Bucket. The DSA is a government agency that oversees development projects including development of California Public Schools. The District partners with City of Los Angeles on awareness programs such as Save the Drop, Imagine a Day Without Water. LADWP is the largest municipal utility in the U.S., serving over 4 million residents. LAUSD has partnered with LADWP on several water and energy conservation initiatives including the Power Challenge, a Drop in the Bucket, and Times in Education. MWD is a regional wholesaler that delivers water to 26 public agencies; the mission of the organization is to provide the service area with adequate and reliable supplies of high-quality water to meet present and future needs in an environmentally and economically responsible way. Southern California Edison is the largest subsidiary of Edison International. Committed to delivering safe, reliable, affordable electricity, Edison is guided by their core values of integrity, excellence, respect, continuous improvement, and teamwork. The SWRCB is one of six branches of the California Environmental Protection Agency. The regulatory agency's mission is to balance all water needs of California. The Board has partnered with LAUSD on several initiatives including the oversight of our DROPS and Prop 84 low impact development projects. West Basin's mission is to provide a safe and reliable supply of high-quality water to its customers.